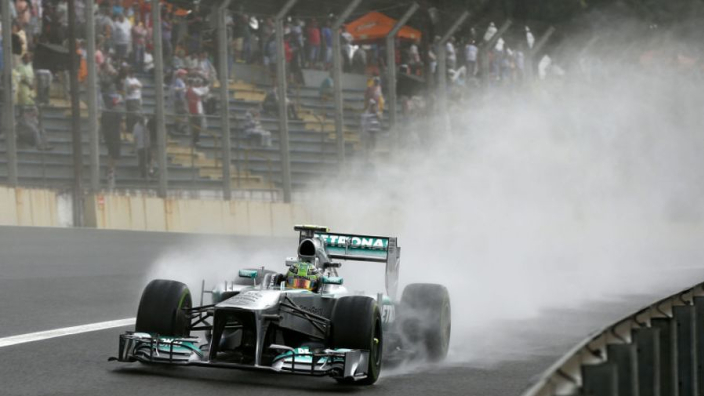 The Brazilian Grand Prix has many legendary moments in the wet and we could be set for some more in 2018, with rain set to make a dent on the race weekend. Inclement weather appears most likely to arrive in the middle of the race. Last year's race passed without any weather interruptions, but the 2016 race was a classic in the wet - so hope for more of the same this time around. It remains notable for Max Verstappen's epic late comeback through the field to finish third, having dropped to 16th. The Dutchman carved his way through the field with a string of awesome overtakes and he even had time to pull off a stunning save after spinning perilously close t the barriers on the pit straight. Red Bull's lack of power might make a repeat for the Dutchman unlikely, however if the rain does arrive it could play into his hands.